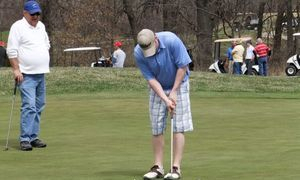 Golf attire is preferred for both men and women at Buffalo Golf Club. T-shirts and jeans are acceptable. Soft spike golf shoes or tennis shoes are required. The golf shop staff will inform patrons whose attire does not meet the dress code. Please call the Pro Shop should you have any questions.